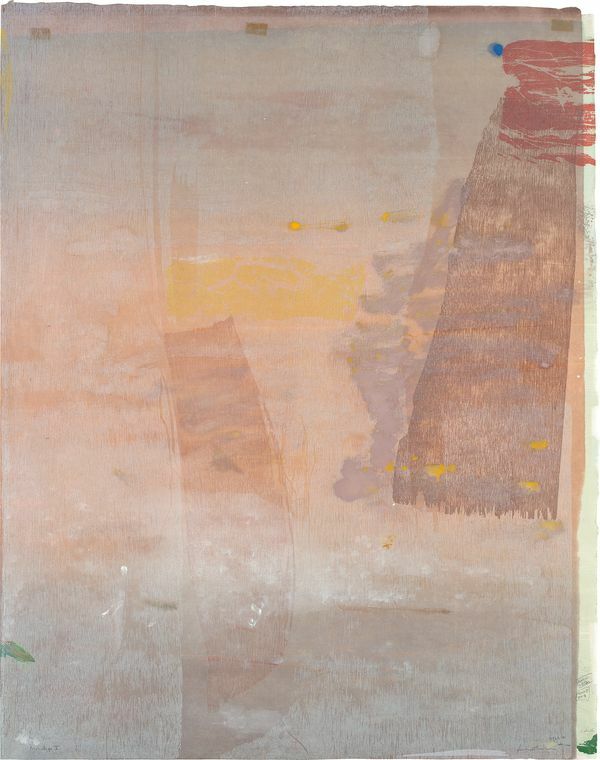 Twenty years prior to her use of woodcut in Freefall, Frankenthaler made her very first woodcut in 1972; that same year she also made a print dedicated to Edgar Degas. She gravitated towards Degas’ printmaking because it, too, depicted awe-inspiring new worlds: in his case the meteoric rise of modern life in Paris. 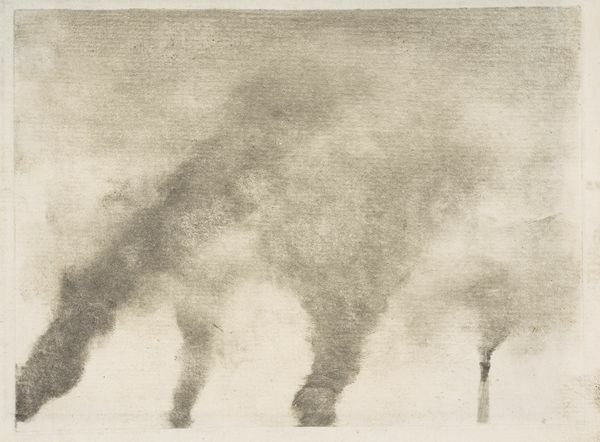 Degas turned to printmaking—specifically the unique printmaking method of monotype—in order to depict the new, then alien, glow of electric lights in the city as well as the quick movement of ballerinas. Monotype prints provided a chance to depict intimacy and gesture. The technique results from loose inks applied to a smooth plate, which is then put to paper through a press. Monotypes were often studies or working proofs for future prints in other techniques; Degas’ output of published editions was dwarfed by his number of working proofs. So too was Frankenthaler’s. Both Frankenthaler and Degas saw a limitless horizon for variance and variety in printmaking, even though the medium was most revered for perfect replication. A young Degas made his first prints during a trip in Italy and instinctively rebelled against perfect printmaking by exploring varied applications of ink and modifications to the plate on the fly. 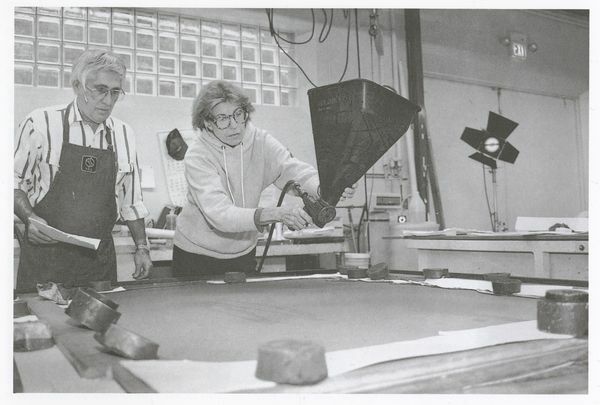 Frankenthaler did the same—while making her first lithographs with ULAE in 1964 and 1965 she applied inks variously, which yielded unique combinations that could technically be categorized as a monoprints. Several preparatory proofs preceded Freefall. 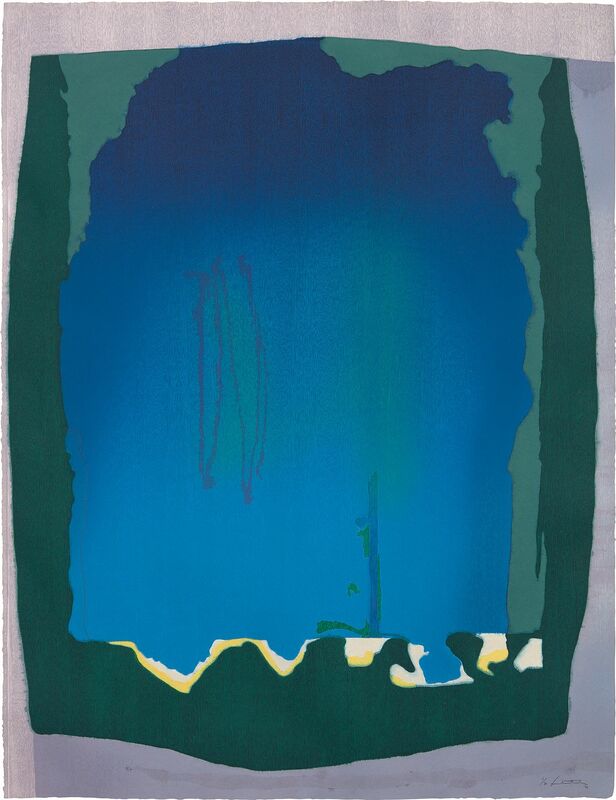 As Frankenthaler embarked upon more ambitious prints like Freefall during the 1980s and 1990s her output included vastly more monotypes as preparatory works. 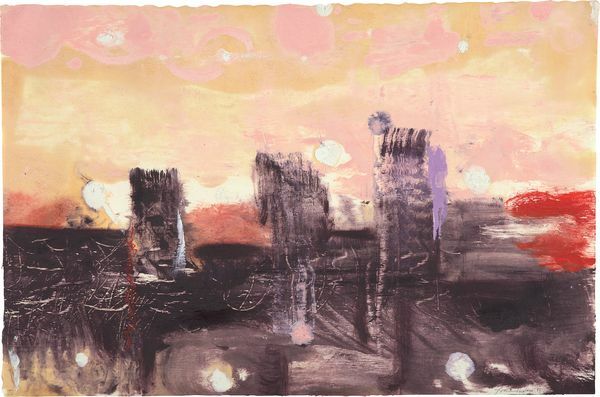 While embarking on another challenging woodcut, Cameo, with Ken Tyler, Frankenthaler made the various proofs that she published in a series of monoprints and monotypes in 1981, of which lot 43, Monoprint V is a part. 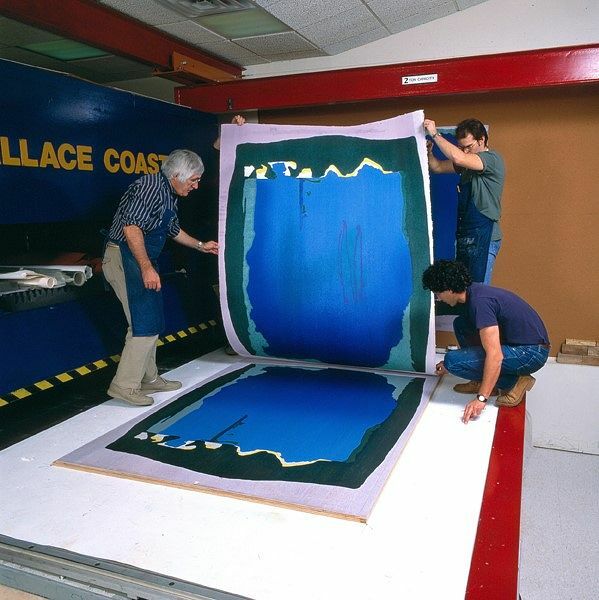 In 1991 Frankenthaler engaged more fully with this medium by collaborating with the master of monotype, Garner Tullis. The spring days she spent in 1991 at Tullis’ New York Studio were among the most productive in Frankenthaler’s career as she created as many as five monotypes a day. Lot 42, Monotype XI, was among the unique works from that series. Both lots present with viscous applications of ink and delicate ink washes that were “ghost” impressions of earlier monotypes and that revealed the artist’s intricate manipulation of woodblocks.